RIP Tommaso Ciampa's old theme. 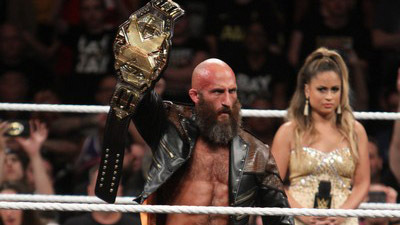 It's a shame that WWE decided to get rid of it before Ciampa moved on to the main roster. But you know what, if you miss it so much, you can just load up his new theme, and then click mute, and you'll be fine. Malaki na kayo, kaya niyo na 'yan. On the real, though, I guess it was a matter of time until the NXT Champion actually got a theme song. He's still a despicable, vile creature that draws the ire of the entire arena wherever he goes. So entrance theme or not, he'll still get boos all day long. That said, let's break down that new theme, "No One Will Survive." This track starts ominously with the sound of a heart rate monitor flatlining, much like Tazz's WWE theme, "If You Dare." It's in line with his self-appointed nickname, "Blackheart," and carries with it the imagery of death, which is what this song will bang you over the head with. Then you've got the opening chords going hard as they're plucked, until the vocalist screams, "NO ONE WILL SURVIVE!" along with the drums, which take the song into full gear. The song has a main interlude, which you hear in between every repeat of the chorus and verse. While you've got the guitars sounding intense, you also have synth keys being played—it isn't terrible because it still gives you a sense of dread. You know that this song belongs to a video game boss or a main villain. But therein lies the problem—it feels more like the former than the latter, which contradicts Tommaso Ciampa's messaging of being a heel in the real world, the realest of them all. The vocals aren't anything to write home about. After all, the singer sounds like he came from a generic screamo band from the late 2000's. He sings with a slight drawl during the verses, elongating his syllables to try and draw you in. And then he takes it up a notch as he screams, "NO ONE WILL SURVIVE!" Yeah! No one will survive! Yeah, I'm not counting the line, "There's no escape now," since it basically acts as the pre-chorus leading into the main hook. "No One Will Survive" suffers from many of the signature traits that truly make it a CFO$ original: the use of synths over actual instruments, lazily-written lyrics, a loop that goes on and on and on and on, etc. However, for some reason, this song isn't actually horrible. You could say that it's one of those rare songs that's better than the sum of its parts. There's something about its packaging and how it is able to convey the message of foreboding danger so succinctly. Its message is on point, much like Ciampa's rhetoric today: nobody can get in his way, and if you try, he will put you down. There's no need to sugarcoat anything. 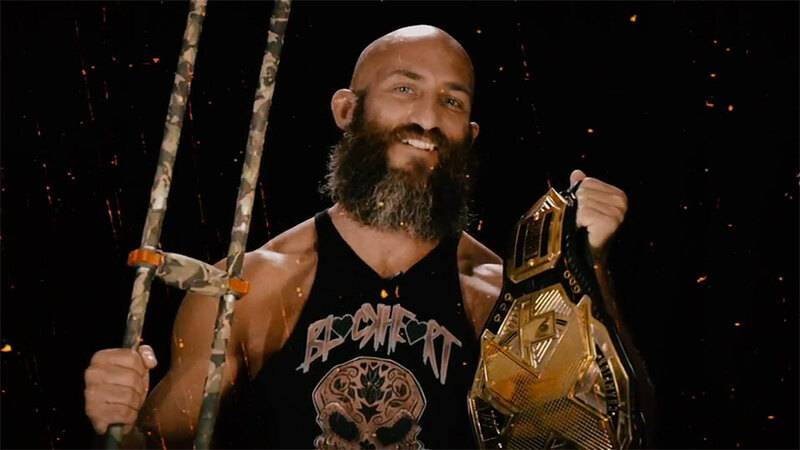 It is what it is, which is pretty much Tommaso Ciampa in 2018. I wouldn't rank this theme among the bangers from this year. But I wouldn't call it a bust either. I'd put it somewhere in the middle when we rank the best themes of the year. Have you given Tommaso Ciampa's new theme a listen? What do you think about it? Hit us up with your comments below! It has a Marilyn Manson vibe to it.